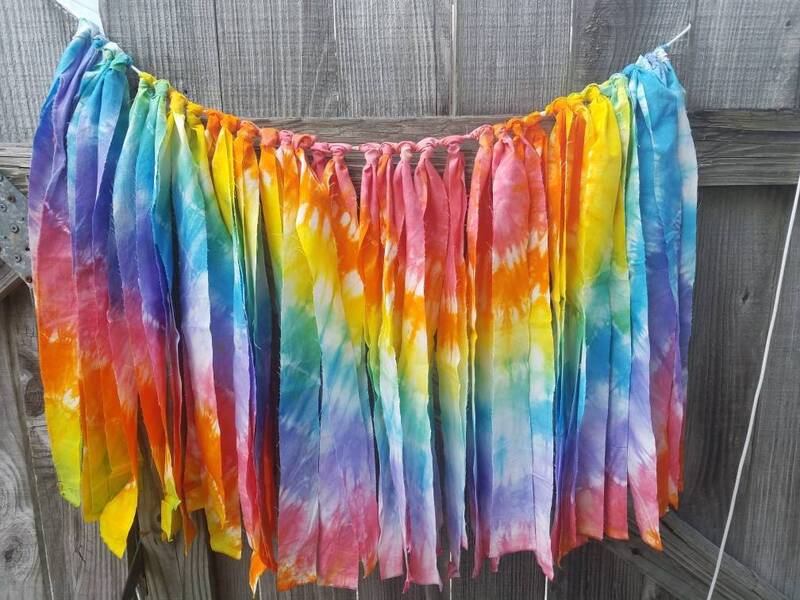 Fabric ties dangle approximately 17 - 20 inches from the rope and are double sided. 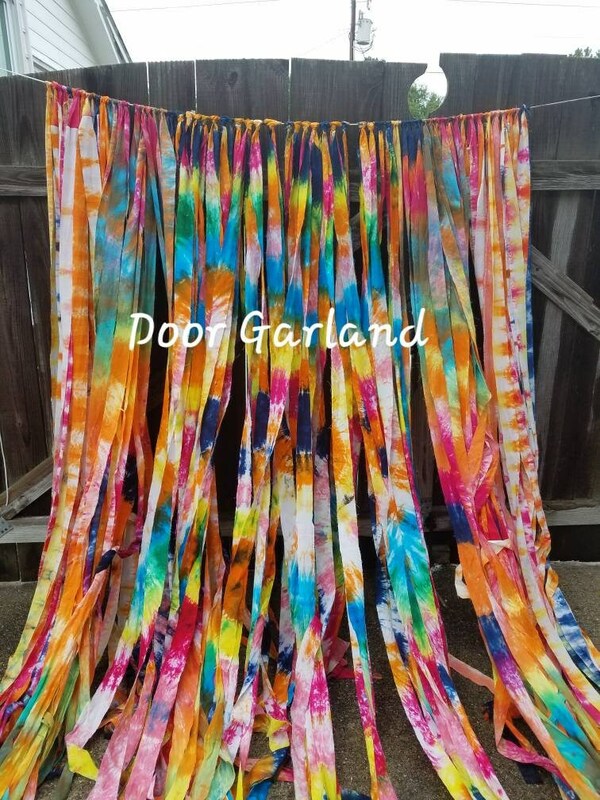 Door Garland: 8 feet of fabric ties approximately 12 feet long. Made to order. 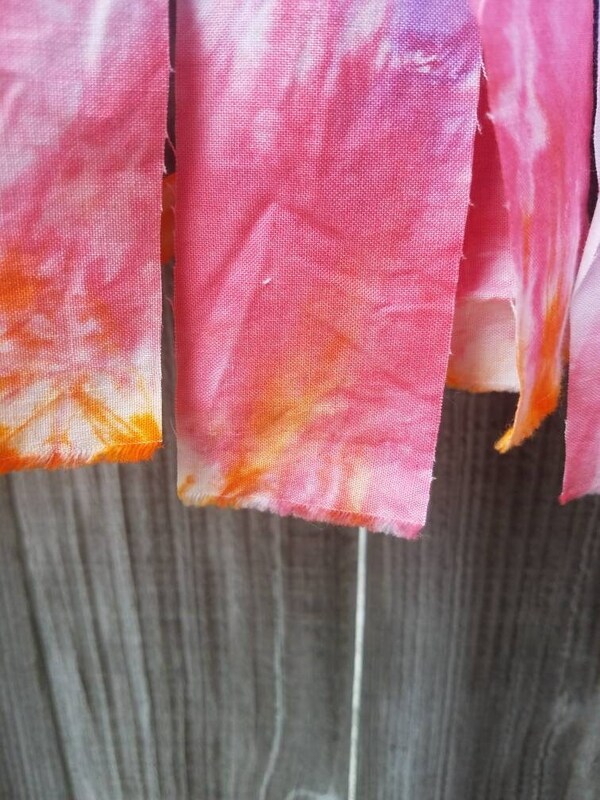 Dyeing is at least a 3 day process. Three days is the fastest turn around time before shipping. Full disclosure: The garland you receive will not match the pictures exactly. 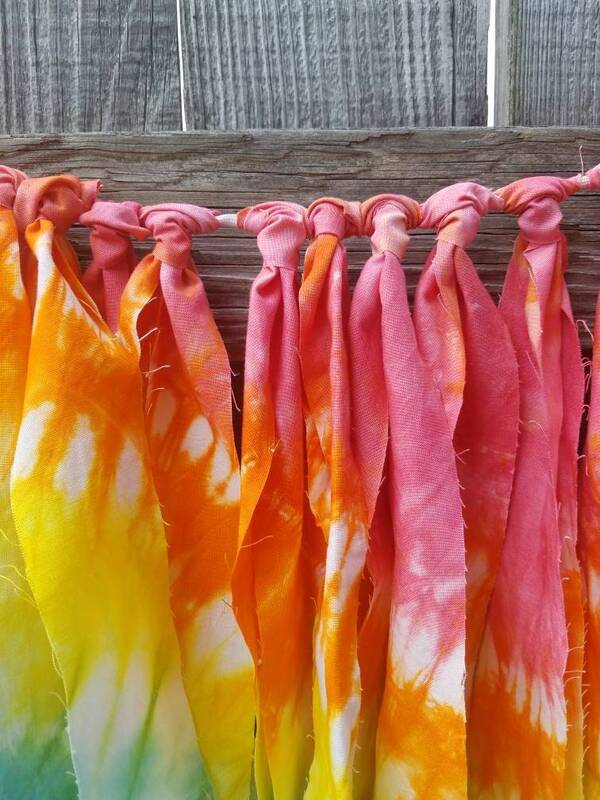 All fabric is hand dyed, therefore, no two garlands will look alike. 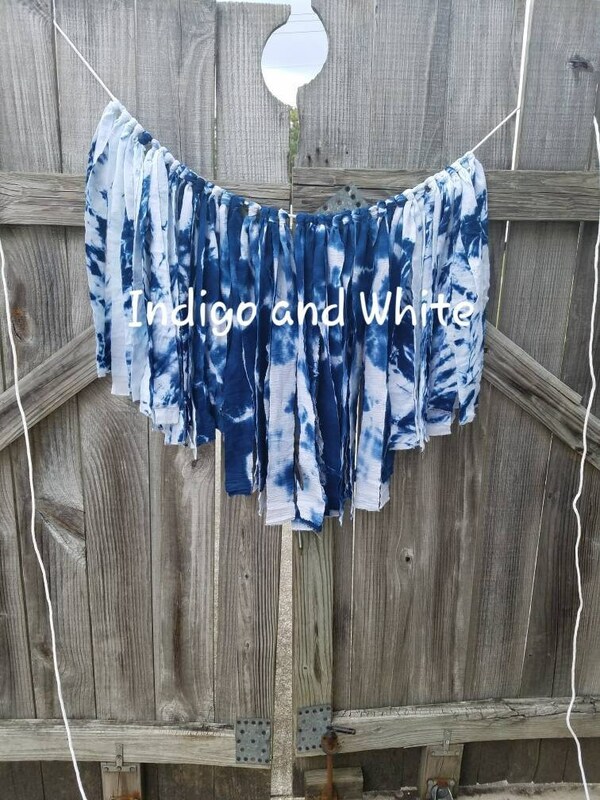 The colors will be the same but the pattern, amount of white fabric showing, etc. will not be the same. 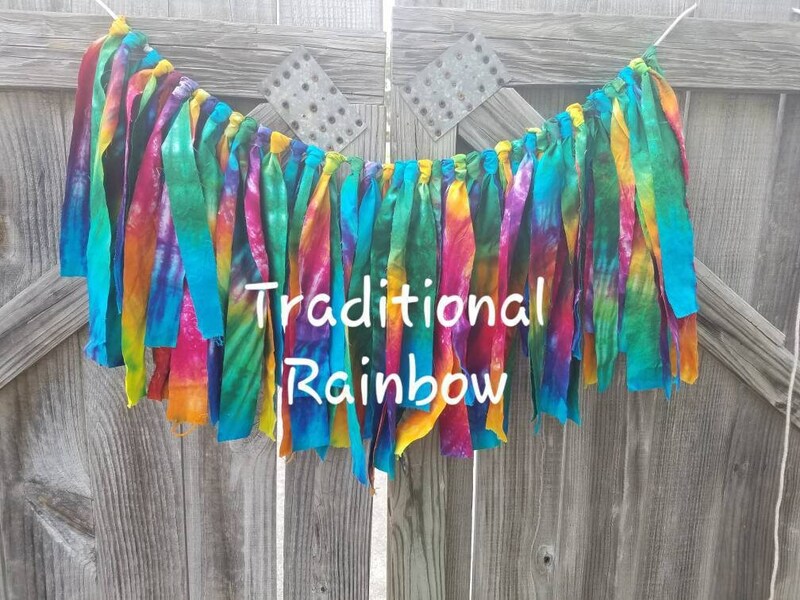 I always have the traditional rainbow color dyes on hand as well as the pastel rainbow color dyes on hand and the indigo blue. I can order custom dye colors but it will delay the process at least a week, if not more in order to get the dyes shipped. 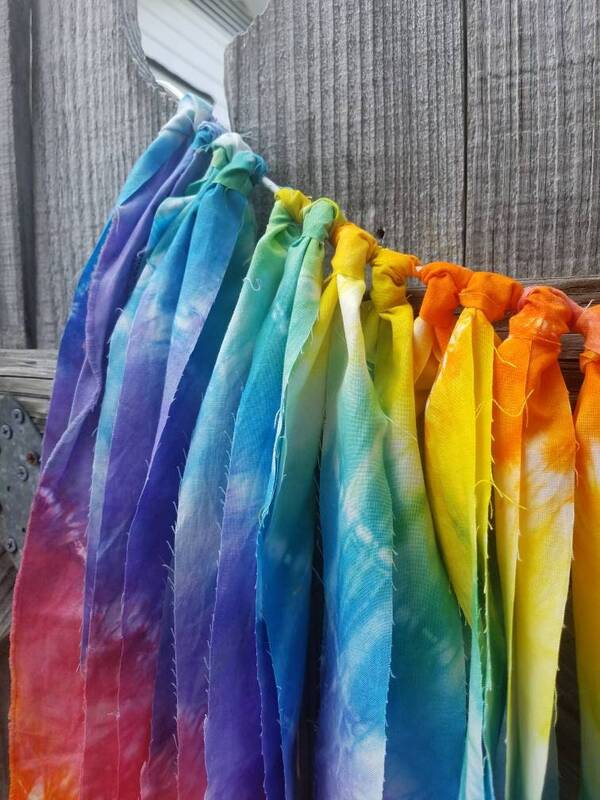 When choosing custom dye colors please convo us or leave the colors you would like in the notes to seller. If you want a color that is not something I always have on hand please convo us so I can send you a picture of the dyes I can order (maroon, grey, brown etc). 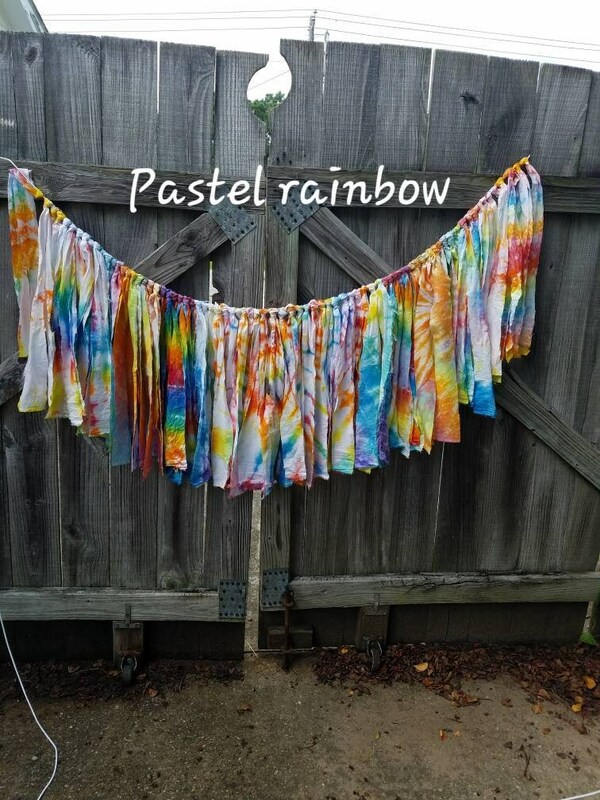 If you just want pastel blue and pastel pink or orange and indigo (dyes I always have on hand and that are shown in the pictures) you can just convo us/ leave a note in the notes to seller with the colors. Dyes always on hand = red, blue, purple, orange, green, yellow, pastel pink, pastel blue, pastel purple, pastel orange, pastel yellow, pastel green and indigo. No matter how many feet of fabric ties you order there will be 3 yards of paracord on each side for hanging. My garland is beautiful! Thank you!